In the perpetual busy-ness that seems to constitute the life of a dragonfly, this moment of repose must feel especially restful. Recently I was watching a large dragonfly when I heard an especially loud buzzing noise. Right there in front of me was a hummingbird (not much bigger than the dragonfly I had been focusing on)! He studied me for a moment, then perched on a branch overhead. I was too slow moving the camera into position. Apparently the hummingbird is just as busy as your average dragonfly, and away he buzzed, lost to sight in a second. 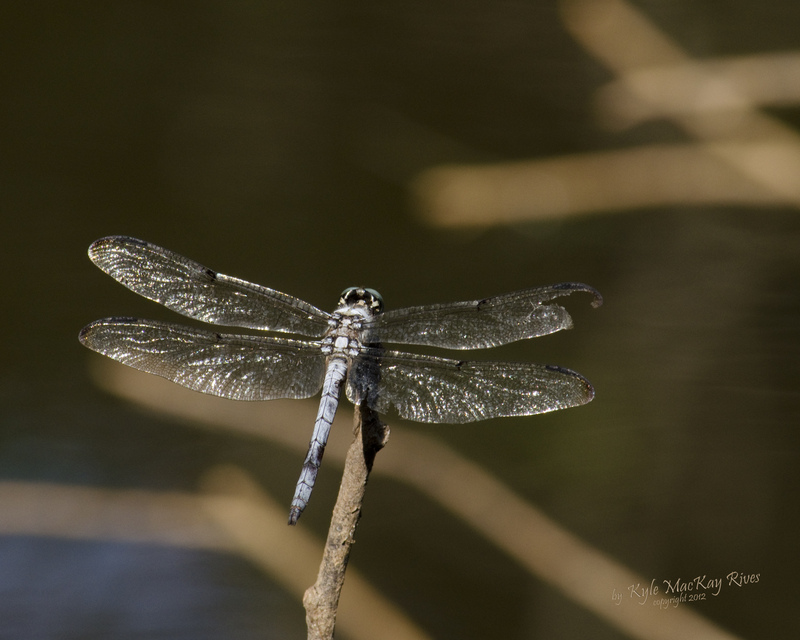 This entry was posted in photography and tagged 2012, dragonfly, nature, outdoors, photo, Photograph, Photography, pond, summer.